Recently, I’ve been posting about the writing bogs. Since I coach writers in how to, well, write, this is a topic of particular interest to me. It’s not because I’ve ever struggled with the issue of getting myself to write. I always never have problems with writing. But in case you do, help is at hand. In the earlier posts, I wrote first about Where Do You Get Bogged Down? and then, in The Writing Bogs, a little about specific writing bogs you might find yourself in, the first one being a lack of time to actually get to it, and finally in the Writing Bog Addendum. So, Bog #2 is Getting Sidetracked Before You Get Writing. It is so important every word must be capitalized. You may think that this is the same as Bog #1, which is not having time to write, but it is not, it is different. Bog #1 is being so crazy busy with your long commute and your awful job and having to care for your elderly mother and her 21 Chihuahuas that you simply don’t have time to write, and we’ve already discussed that. Bog #2 is when you make a commitment to write but don’t uphold it. You have carved out time from your busy schedule—perhaps paying a Goth-type high schooler to walk the Chihuahuas—and have decided that you will write for an hour instead of watching American Idol. But the allotted hour comes and goes and you’ve not written. Worse, you’ve not even sat down at your writing desk. You had to give the Goth boy explicit instructions and that took longer than you thought. Then you noticed that the banister was covered in dust as you climbed the stairs to your office. And after you got that dusted, you remembered how long it had been since you had oiled the wood. And then you had to go wash your hands and when you looked in the mirror you were shocked—shocked!—at how gray and wrinkled your face looked. So you absolutely had to give yourself a facial, right then at that very moment. After all, if you are going to be a best-selling writer, you will be required to look your best, right? And when you go on Oprah, the cameras are going to be unforgiving. And, oh God, the camera adds ten pounds. (Personally, I’m pretty sure it’s twenty, but either way, it’s no good.) So you better research diets post haste. And now your hour is long gone and you’ve not even gotten near your computer. Has this, or a variation on this theme, ever happened to you? Tell it like it is. You’re procrastinating, okay? You’re not cleaning the house or having a spa day. You are procrastinating because what you set out to do—write—is at odds with what you ended up doing—just about anything. Telling the truth at least starts to illuminate the path out of the bogs. Denial just leads to a river in Egypt. Observe without judgment. Watch how you avoid writing with the detached air of an anthropologist observing a…whatever it is they observe. Hmmmm, you might notice that in between dusting and oiling the wood there was a moment when you thought of the perfect opening line for your chapter and you stopped to jot it down but then went to find the Murphy’s oil, because how could you stop to write when the banister needs oiling, for God’s sake? If you noticed that moment without judgment perhaps the next time it happens you could actually stay with the writing instead of rushing off. Face your fears. What are you avoiding? Are you afraid to write because you fear you are bad at it? Because you fear that you’re good at it? Because you fear you’ll get so absorbed in it you’ll forget the Goth boy is out walking Pippi the Chihuahua and then your mother will only have 20 of them when Goth Boy makes off with Pippi? Make a list of your fears. Yes, this requires writing, but you can do it in the kitchen and pretend you are writing a grocery list. Which leads us to…. The beloved free writing. It is beloved because it works. Your list of fears has now been magically transformed into a list of prompts, starting points for your writing. Set a timer for 10 to 20 minutes, choose a prompt and write without stopping or judging. See what comes out. This little self-therapy session may well turn into a “real” writing session. But even if it doesn’t, you may be able to see what has been stopping you. Get support. Find a writing buddy or yes, a coach, who will hold you accountable. If you are the type, like me, who works well under deadline pressure, you will be amazed at how well this works. Knowing that someone is waiting for your email, waiting for you to report how many words you wrote, works wonders. Start an idea book. Even if you don’t write in a journal, every writer should have some sort of notebook in which to corral ideas. The thing about putting ideas together in a notebook is that they breed like rabbits. Ideas begat more ideas. And more ideas begat the overwhelming urge to turn some of them into stories. Make lists in your idea book. Write down dialogue you hear. Make a note of something you saw that you’d like to write a description of. Oops, watch out. 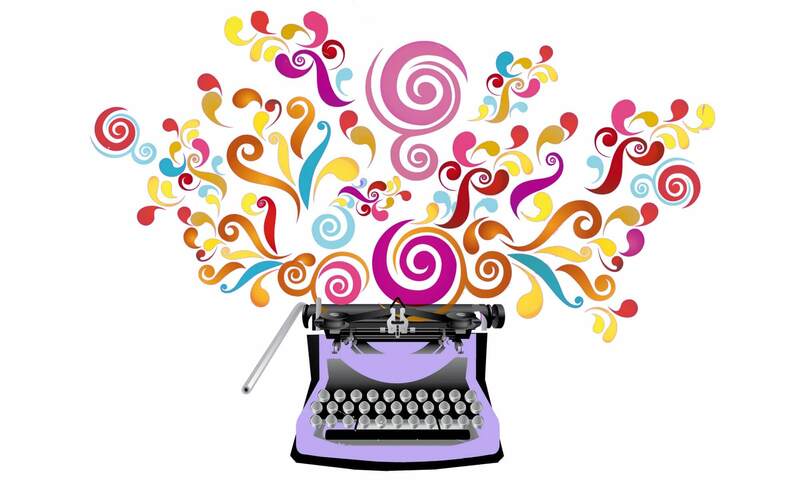 Could it be…you are writing? Remember that the only way out is through. Writers write. Hate to tell you that, but it is true. If you are writing, you are a writer. If you are Not Writing, you are not a writer. It doesn’t matter what you are writing—though grocery lists don’t count and neither do office memos. 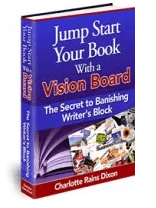 Truly and all the only way out of a writing block is to bust through it—by writing. Write anything. But write. Ask yourself if you really want to be a writer. I’ve been harping on this lately, but that is because, again, it is true. If you want to write, you will. Maybe you like having written better than actually writing. Maybe you like tossing ideas around better than actually writing. Maybe you like playing tennis or going fishing better than actually writing. You know what? That is okay. Really. Admit it and move on. And on that note, since we have gone around in a circle and come back to where we started, with telling it like it is, I will end. Tomorrow I’ll talk about what to do if you make it to the computer but the words don’t come. Oh, and by the way, if you need coaching on setting the words free, email me at wordstrumpet@gmail.com and we’ll discuss it. Don’t you think all of us writers are a little nuts? Writing copy taught me how to write fast, too, and I can let the words flow easily because I rarely have an emotional attachment–unlike when I write a novel. Love the idea of having multiple projects. I’m wearing so many hats these days that I end up doing that by default. That is a great trick–I’m going to have to try it myself. I do think there is a delicate balance at play here. I was reading an old issue of Poets and Writers and in an article about freelance writing, the author mentioned how the trick of freelancing is to be able to mimic the voice of the publication you are working for. This woman then had a difficult time making psychic space to allow her own voice to come out. That can be an issue, but I also think it is one the professional learns to overcome. as an ad writer, i’ve always had to write with the voice of whichever brand i’m working on. that does make it difficult to shift gears to my own voice sometimes. i love writing long, verbose, run-on sentences – but i also like writing in a more poetic, spare way. those two styles battle within me all the time as i try to write with my own voice.